Obama has repeatedly said he will act without Congress. Today he said U.S. Armed forces were “My military”. America no longer has a President, America is ruled by a Dictator. Why pretend what the reality is, is not reality? 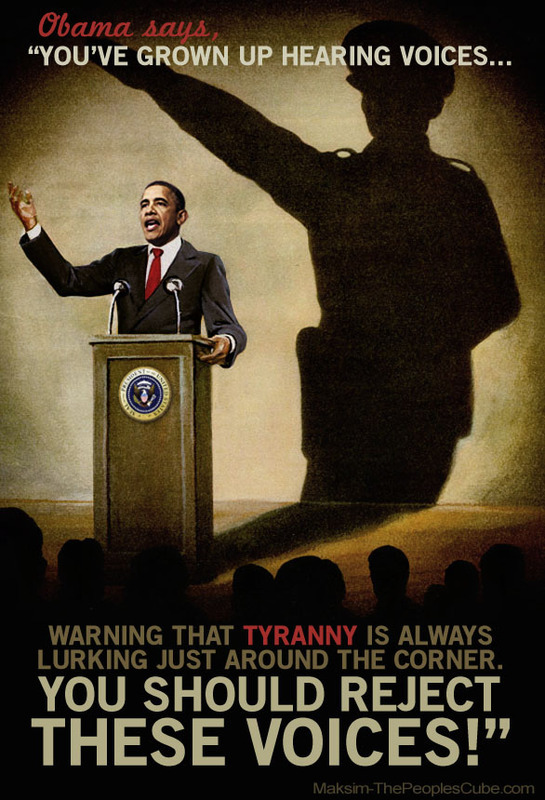 Obama is a dictator, in our faces and those of the world. Obama said he would do it; to Act without Congress if they did not do as he demands, even if the Constitution prohibits him from doing so. Obama’s unilateral actions against the Second Amendment by decree, to his unilateral actions of running guns into Mexican drug cartels, arming Al Qaeda rebels in Benghazi, attacking Libya and now setting bomb sights on Syria – Obama rules like the dictator he emphatically denied he was some months ago. I recall how berserk the MarxoFascists and Lefties all went over Bush going to war in Afghanistan and then Iraq. What is interesting is that BOTH TIMES, in 2001 and again in 2003 – W. Bush went to Congress and got a Congressional authorization for the use of force, which they funded. Before the Iraq war, Bush sent Colin Powell to play footsie with the UN for almost a full year over Sadaam Hussein’s violations of the 1991 Cease Fire. Today, after 2011’s strike in Libya to oust Libyan dictator Moammar Ghadaffi, to his impending attack in Syria, Obama has not even given Congress a phone call, despite his lie that he has “consulted Congress”. No, he hasn’t. His regime has been repeating the mantra that Obama will act unilaterally if he has to. Same as he said he will on banning guns. Interesting that our first Dictator-In-Chief just today stated in front of the cameras the truth that most Americans are going to pretend didn’t happen; Obama said the military was “My military”. Only Dictators and kings make such claims, and Obama today – has. In addition, while all of us were distracted with war talk on Syria, Obama has issued Executive Orders and policy directives from Climate Change, State voting rights to GRANTING AMNESTY TO ILLEGALS without congress. Meanwhile, Boehner and McConnell and the Ruling Class Republicans in Congress are silent and/or supportive of this dictatorial monarchy that acts every day outside of it’s Constitutional bounds. The fact is America, we have a dictator or self-imposed king now ruling the country. He and his Marxofascist Religionists, will decide which laws to enforce and obey, and which laws to ignore and void. The horde, goose-stepping to the drums Obama pounds for them or totally clueless – all wrapped up in the Michael Douglas-Catherine Zeta-Jones’ split. How long America will you endure such a thing? Or like the Ruling Class Republicans, have you surrendered already to what the media has insisted is inevitable? History teaches that such a people so accommodating of tyrants, end up in mass graves by the very leaders they capitulated to. 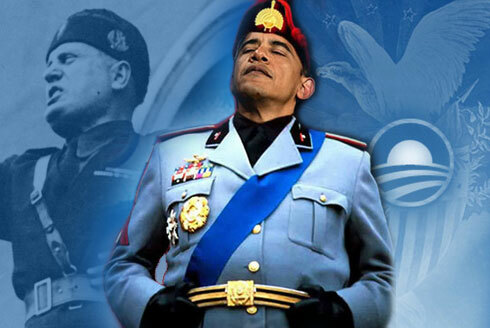 Obama The Dictator – “My Military”? Following! What will it take for an impeachment? A complete replacement of Congress and nearly every Senator currently IN office. Marxists NEVER leave their power except by one method only: force or the imminent threat of force. Laws and court orders mean nothing to creatures like Obama and his ilk. What do you think about Trump saying “my military” yesterday? Marxists and Fascists are not all that different.